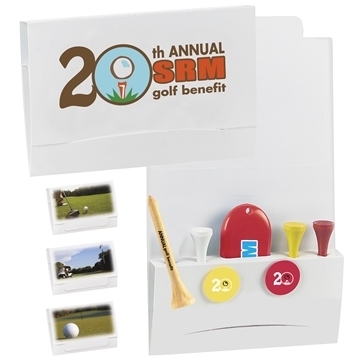 Materials: Packet: paper, Tees: wood, Ball marker and Divot fixer: plastic. Attractive, the imprint was excellent! The items were popular, well-made. Graphics were excellent. they were very well received Was the best team spirit builder ever! Thanks!